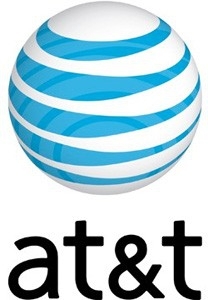 "Anyone hoping for some truly unlimited "unlimited" plans is still out of luck, but AT&T has announced some changes (or a clarification, as it puts it) to its throttling procedures today that will at least give you a bit more room to work with." Basically, if you are on an unlimited plan with a 3G phone, you get full data up to 3GB, but then you get throttled down until the next billing cycle. If on a 4G, then you get 5GB to use before the throttling begins. This has no effect on the tiered data plans, only the unlimited ones. So basically you get a choice, if you are grandfathered into 'unlimited'. You get 3Gig and then get throttled, or you opt into the 3Gig plan and get charged more when you go over. I'd actually prefer to get throttled, though I don't have the 'choice'. I would wind up paying $40 for 3.001 Gig, up to 3.999 Gig. For all you crying foul, read your terms. They just say unlimited data...you are still getting data. Bet nothing in there says at what rate. Probably never did. Lots of those grandfathered plans were initiated when Edge was as fast as you could go in the first place. Yea, its weasely, but thats why lawyers write these things up. I noted one time, actually reading the contract for a 2 year commitment, there was nothing in there tying it to a phone subsidy. The contract just said you signed up for two years, here are the terms of early termination. If you brought your own hardware and signed the contract, you were commited for 2 years, period. There was no mention of any non-contract service by the sales staff either.